Get out of safari vehicle and stroll around the African soil that will offer you an absolute diverse feel of your surrounding. Whether you’re hiking through the wooded slopes close to Manyara, Arusha National Park, in the Serengeti or in the center of Tarangire National Park, a walking safari in Tanzania is undoubtedly the finest way to really soak up yourself in the African Bush. In fact, this is something that should be experienced firsthand! Our walking safari is the purest form of safari you can have. 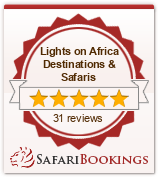 In fact, our walking safaris in Tanzania are absolutely diverse to game drives on a vehicle. On foot you’re a partaker in the world of wildlife instead of a spectator, which is a thrilling experience in itself. Just imagine you stroll on the same trail as the gigantic elephants & other wildlife, you sense the wind as your hair start to blow, hear a lion roaring from somewhere in the jungle and smell the wildlife and the bush. Your senses wake up, as you become a part of the surroundings and you feel the wilderness even more. While wild animals will typically ignore you in a safari vehicle, but they consider you as another kind of animal when you’re on foot. Getting up close & personal with the wildlife is certainly a rush of exhilaration. Walking is also an excellent way to admire the smaller wildlife that can’t be seen easily from a safari vehicle. Also, on foot you will have the liberty to to walk into isolated places that usually can’t be accessed by a safari vehicle. Once on foot, you’re not limited by roads and can move nearly anywhere you’d love to. Tanzania walking safaris provided by Lights On Africa are escorted by veteran walking guides alongside a weaponed rangers. During this trip, visitors will get to learn regarding nature, birds, animal tracks and wildlife behavior. Though wild-animals are generally spotted, the objective isn’t to get very close to them but instead to notice their untroubled behavior. Walking safaris aren’t permitted in several of the national parks so if you’d wish to incorporate walks into your travel schedule kindly let us know so that we can suggest the best. How much is 14 + 1?